The Modified Small of the Back Concealed Carry Holster (MSOB) offers great comfort and superior concealment. 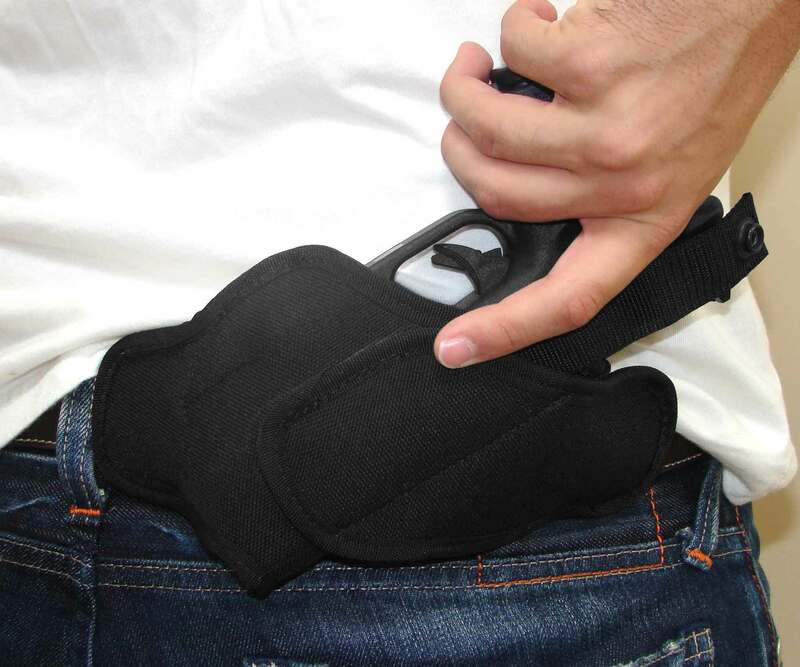 This holster uses belt loops at the front and rear to pull your handgun tight against your body for superior concealment, especially for persons who need to be on their feet like sales clerks, restaurant staff, plainclothes store security. The Improved angle/cant angle positions your handgun for faster drawing with full combat grip, more comfortable wearing, and much safer use. 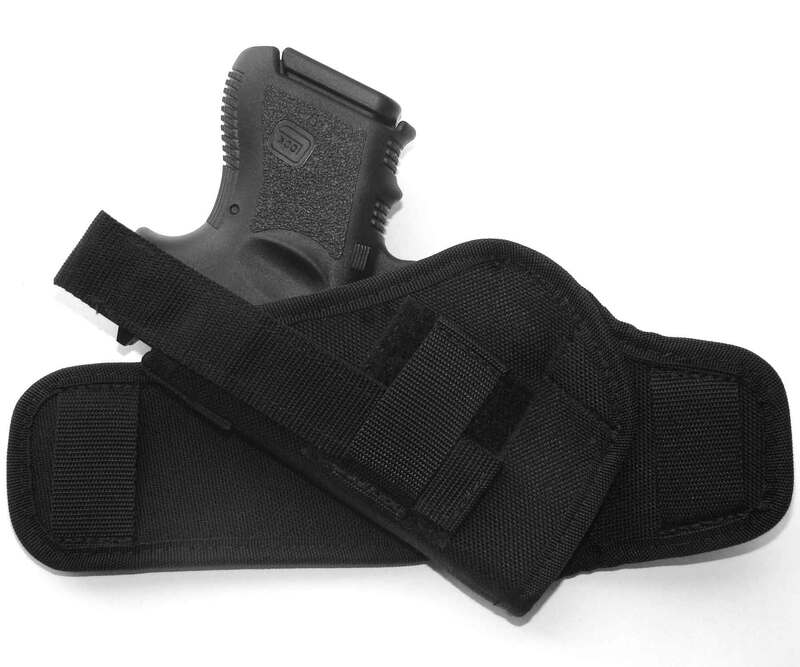 A regular Small of the Back (SOB) holster places your gun over the base of the spine. A fall or hard blow with your gun in that position could cause serious spinal cord injury. 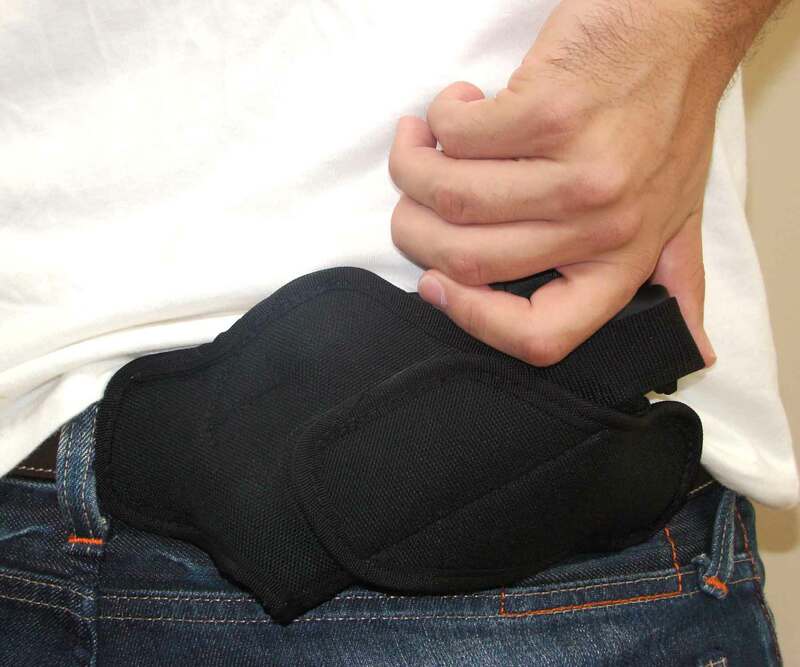 Our holster is engineered for kidney position (5 or 7 O’clock) to avoid that danger. The Modified Small of the Back Concealed Carry Holster is a quality SOB holster designed for no-nonsense, practical everyday use. 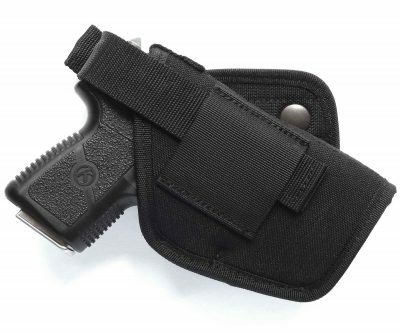 It is a versatile and comfortable method of deep concealment for extended, all-day concealed carry. SAFETY: Designed to place your gun at the kidney (5 or 7 O’clock) position, not over your spine. CONCEALMENT: This design provides great concealment with a full combat grip. 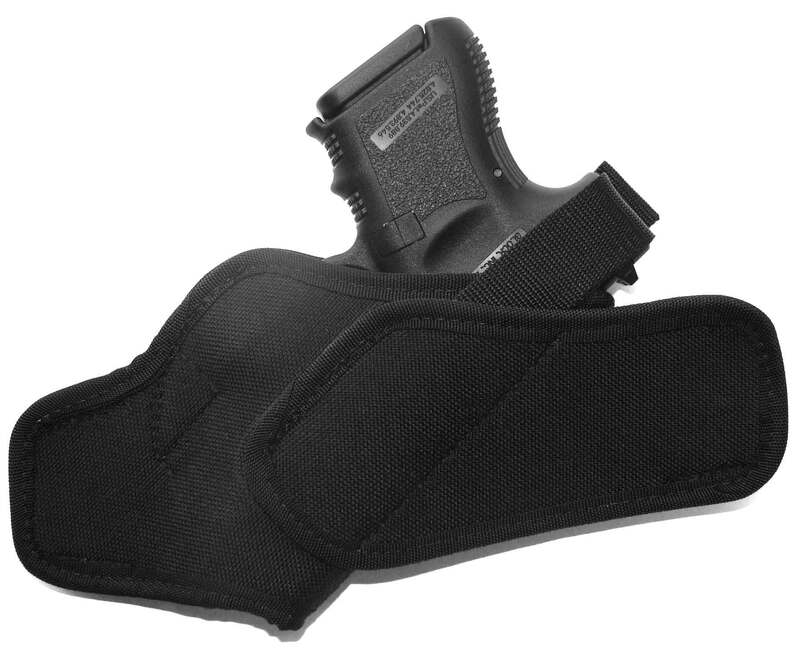 EFFECTIVE DESIGN: Provides a high level of comfort for an SOB holster. QUALITY PRODUCT: Made of waterproof, high-tech closed-cell foam padding for a comfortable carry and to protect your gun from moisture. Lined on both sides with rugged Cordura® nylon for durability and a smooth, fast draw. This special material, made exclusively for Active Pro Gear, with time and usage, will conform to the shape of your gun giving you a custom fit. FINEST MATERIALS: Using the finest bonded nylon thread, all stress points are double stitched for extra strength and durability. 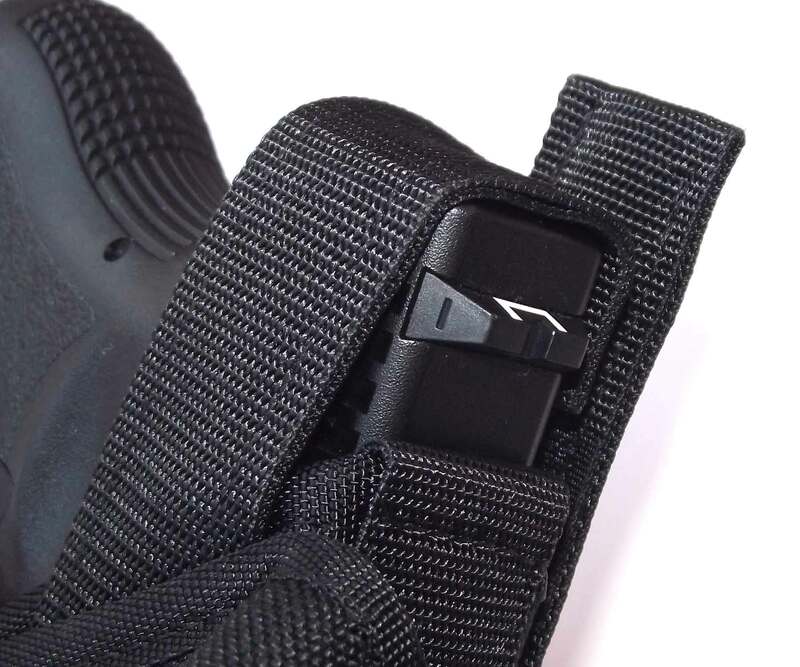 PROTECTS: Smooth nylon webbing along the entire inside length of the holster protects your gun’s sights and keeps holster partially open for easier re-holstering. SECURE: Comes with an adjustable thumb break to keep the gun secure. Notice: The Modified Small of the Back Concealed Carry Holster is designed for maximum concealment, and is NOT intended for one-handed re-holstering and should not be used for such applications. FREE GIFT INCLUDED WITH EACH HOLSTER The Self-Defense Guideline Card! The seven steps you must take to keep you from going to prison if you ever have to use your gun in self-defense. This card reveals, step-by-step, exactly what to do after the confrontation ends and the confusion begins. It contains vital information to protect you! If you carry a gun for protection, you can’t afford to be without this card in your wallet or purse. Now you can get this card absolutely free, just by trying the Modified Small of the Back Concealed Carry Holster—at no risk to you! The holster is comfortable and easy to access. Highly recommended! 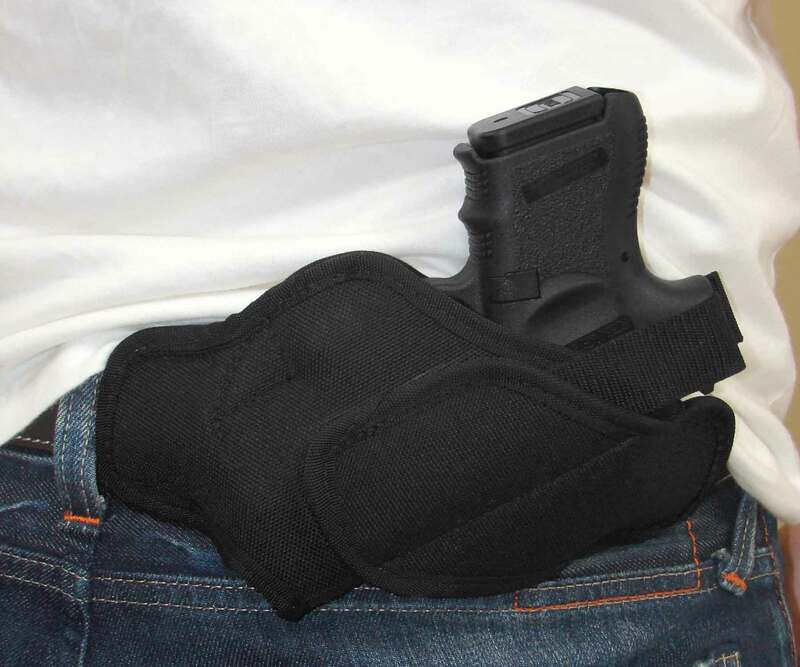 The holster fits well, conceals well, is comfortable and very accessible. The only drawback is getting it on and off the belt. (I bet a pancake version of this holster would be a big seller.) Overall I am glad I purchased it and will use it on occasions when I will carry all day. If I am going places where I will need to remove and secure my weapon and holster I’m going to make another selection. 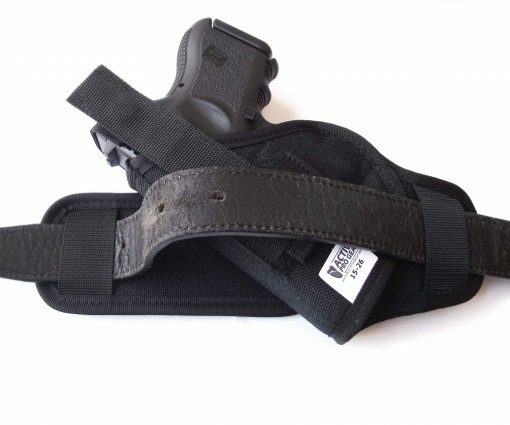 Due to the location this holster is worn and the position of the belt loops on my pants I find the easiest way to put this holster on is before I put the pants on.